It’s probably not a surprise that I like to shop for clothes as well as yarn. But, for a while, I had been in kind of a rut, fashion-wise. 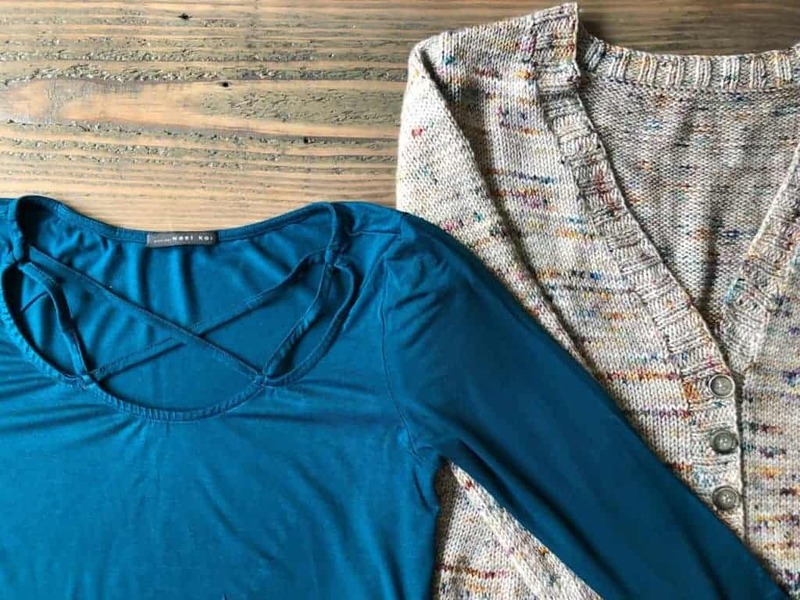 I’d hit my go-to places — LOFT and Banana Republic — for their petite sizes whenever there was a sale and I had some rewards to spend. Occasionally I’d hit up an indie boutique, splurge if I saw something cool on Instagram (like from my absolute favorite dress shop in LA, Matrushka Construction) or hunt through the sale racks at Anthropologie if I was nearby. But, I needed a refresh, and I was probably too well dressed for a spot on What Not To Wear. I don’t remember how I heard about StitchFix, probably from a Facebook ad, but it sounded like exactly what I needed: a personal stylist selecting a bunch of things that match my style, delivering them to my door and letting me try them on in the comfort of my own home (and not lying to me and insisting that it “Looks great!” while I hope my friends respond in time to my frantic texts asking for their opinion). The way it works is pretty simple: you fill out a form that includes various measurements, then you take a “style quiz” that consists of rating various groups of outfits. Before each Fix, as they call it, you can also pin clothing and outfits you like on Pinterest and send your stylist a link to your board there. For each Fix, you’re charged a $20 styling fee that’s credited back to your purchase, and you can get a 25% discount if you buy all five pieces that they send (which I’ve actually done once). After I had been getting Fixes for a little over a year, they gave me what’s called a Style Pass, which is $50 for the year that is also credited back on a purchase. This is great because there’s no pressure to buy something that you’re meh about just so you don’t lose 20 bucks. 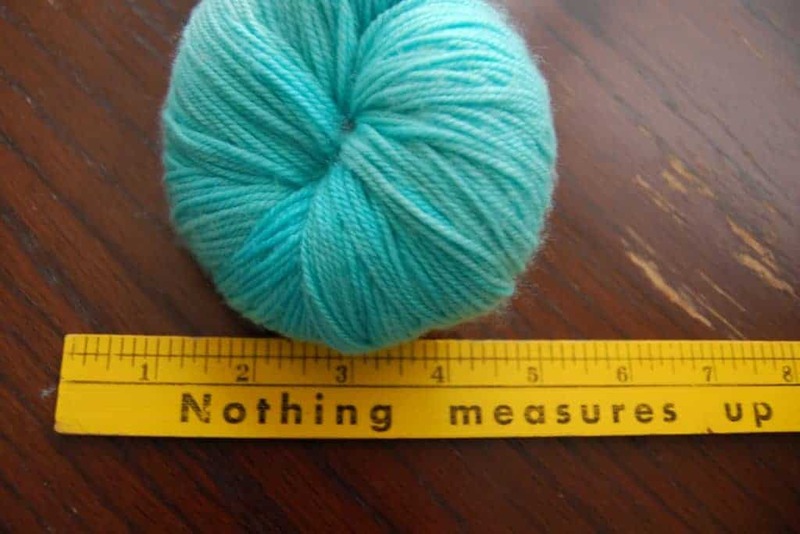 What does this have to do with knitting, you ask? Well, before every Fix, which consists of five items that occasionally work together, you can request special pieces for upcoming events or trips. So, whenever I’ve been close to finishing a cardigan, I’ve requested a shirt or a dress to wear with it, so I don’t have to default to my usual tank top. 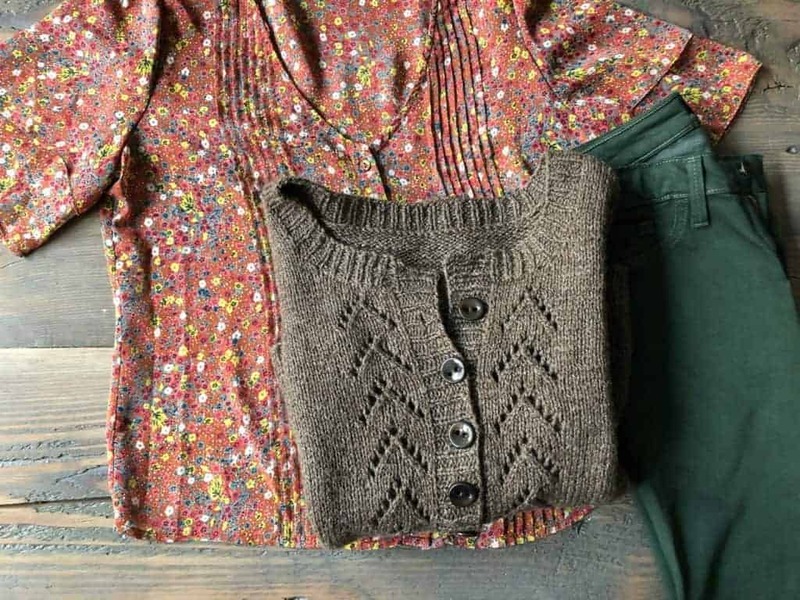 Before Rhinebeck last year, I asked for a floral shirt to wear under my rustic Charlie’s Cardigan, and sent my stylist a photo of the sample from Amy Herzog. On the first try, my stylist, Freddie, sent a shirt that was a lovely purple color but that was unfortunately too big. 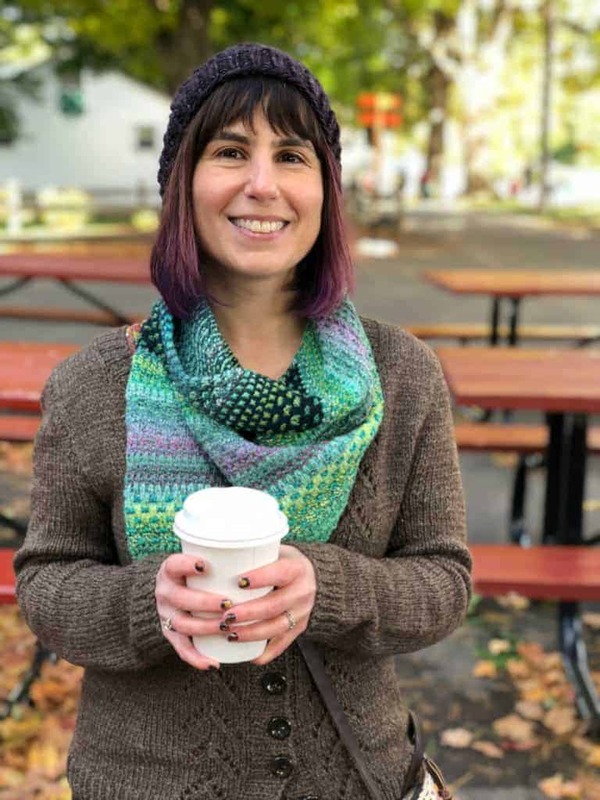 On the next attempt, she hit a home run with an orange floral top from Skies Are Blue and a pair of green jeans from Just Black — both fit perfectly and created the best fall fiber festival outfit (even my Rhinebeck manicure matched!). Before last year’s Edinburgh Yarn Festival, I got a teal West Kei top with a crisscrossing front to complement my La Bien Aimée Merino DK Automne à Rhinebeck cardigan. I otherwise would have defaulted to a blue tank, which certainly would have been fine, but this color was so lovely and the crisscross gave it some pizazz. There have definitely been a lot of misses — I’ve tried to gently remind them not to send acrylic sweaters — but it’s added more dimension to my wardrobe and I’ve discovered brands I normally wouldn’t have found otherwise, like Daniel Rainn, Just Black jeans and WISP, which makes dresses that seem to fit me like a glove. If you use my referral link, we can both get a $25 credit when you schedule your first Fix. How could you not love something that has the word Stitch in it? Hi, what is that lovely cardi in brown that you ate matching? I want to knit one! Oh, ok, charlie’s cardi, silly me.